2014 CrazyFly Takii 6'0" Kite Surfboard, Fantastic All-Around Medium Wave and Light Wind Performance. 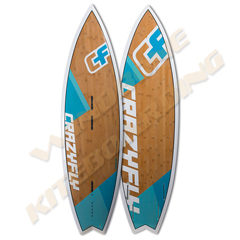 The 2014 CrazyFly Takii 6'0" Kite Surfboard from CrazyFly Kiteboarding offers well rounded control in an ultra durable kite surfboard with top quality materials, construction and performance. 2014 CrazyFly Takii 6'-0" Kite Surfboard - "Agility and response in waves.."
The 2014 CrazyFly Takii Kite Surfboard is the Taurin’s slightly older brother and is better suited to slightly larger waves and to larger riders. 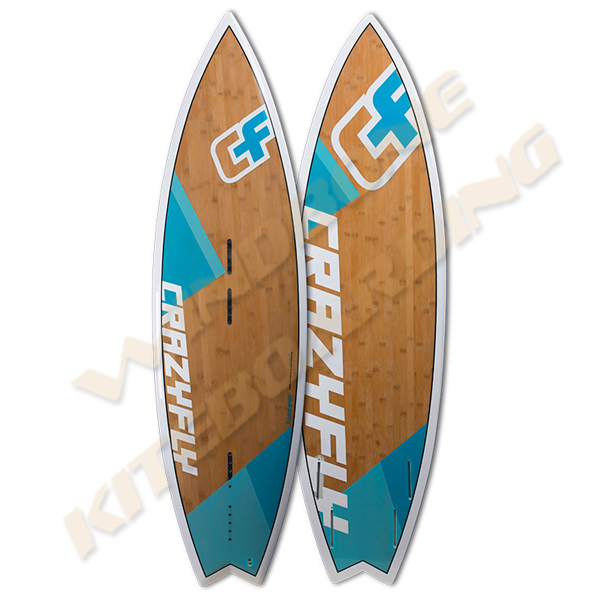 The versatile range of use and its wider size make the 2014 CrazyFly Takii the most popular board from the CraztFly surfboard range. It is also a fun board to play with in light winds. This board suits intermediate to advanced riders who are looking to try new tricks and learn new techniques and is intentionally a bit stiffer than the majority of wave boards so that it will hold up to the inevitable beating during this process. The 2014 CrazyFly Takii 6'0" Kist Surfboard also has extra fiber glass layers on the deck which ensure no dents, and additional reinforcements around the fin boxes to eliminate the chances of damage in the fin area. Increased width and volume provide fast planing, which is especially important in light wind conditions and heavier riders. The 2014 Crazy Fly Takii 6'0" Kite Surfboard has a quad fins set up for more control and smooth turning ability. In addition, all CrazyFly surfboards come with high quality accessories: self-stick EVA footpads, surf straps, and original Futures® fins made in USA.